School’s out, let the fun begin! Kids ages 5-17 can choose from a variety of exciting zoo camps, each with its own unique list of activities. 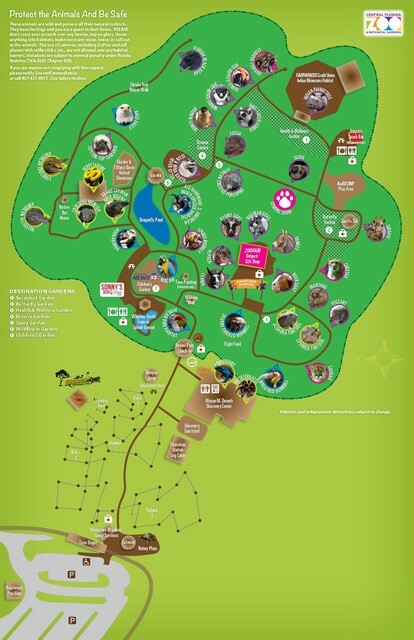 Fill up your summer with WILD adventures at the Central Florida Zoo! Campers can go behind-the-scenes in Jr. Zoo Keeper, set sail for mysterious islands in Pirates of the ZOOribbean, create their own zoo in Build a Zoo Workshop and discover the “yuk!” side of animal science in Ickyology. These camps, and so many more offer one-of-a-kind and incredibly fun learning adventures. NEW: Explore the Wild for Ages 9-12 and Zoology in Action for Ages 13-17 include the Aerial Adventure Course. Download the 2019 Summer Camp Brochure for more details. Campers must register in their appropriate age group and must be at least the minimum age for the group at the start date of the camp. We encourage campers to experience a variety of camps. Repeating camps are the same. Each camper will receive a confirmation email with instructions for attending zoo camps. Campers will receive a maximum of 2 free t-shirts. Additional T-shirts may be purchased for $10.00 each on the first day of camp. Before and After Care available for individual days. Sign-up is available online or at check-in on the first day of camp. Each camper must bring a water bottle with their name on it. All-day campers can bring their lunch or purchase a Safari lunch. Snacks are provided both morning and afternoon. Lunch boxes can be stored in the classrooms.